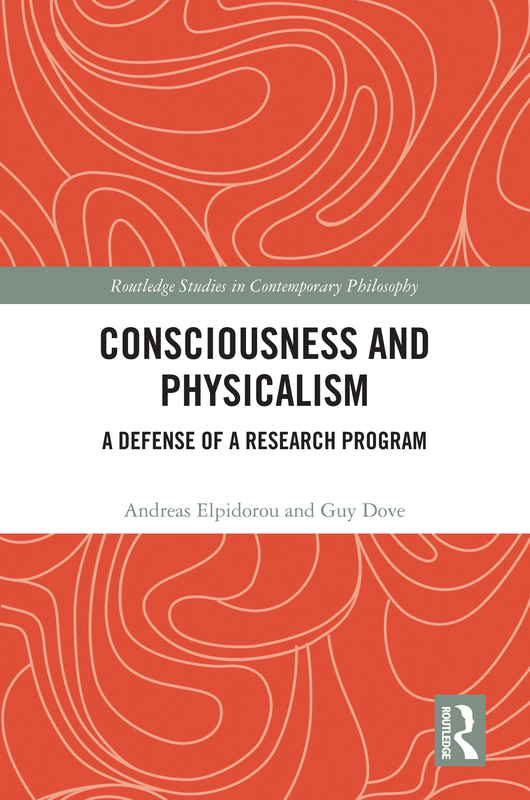 Consciousness and Physicalism: A Defense of a Research Program explores the nature of consciousness and its place in the world, offering a revisionist account of what it means to say that consciousness is nothing over and above the physical. By synthesizing work in the philosophy of mind, metaphysics, and philosophy of science from the last twenty years and forging a dialogue with contemporary research in the empirical sciences of the mind, Andreas Elpidorou and Guy Dove advance and defend a novel formulation of physicalism. Although physicalism has been traditionally understood to be a metaphysical thesis, Elpidorou and Dove argue that there is an alternative and indeed preferable understanding of physicalism that both renders physicalism a scientifically informed explanatory project and allows us to make important progress in addressing the ontological problem of consciousness. Physicalism, Elpidorou and Dove hold, is best viewed not as a thesis (metaphysical or otherwise) but as an interdisciplinary research program that aims to compositionally explain all natural phenomena that are central to our understanding of our place in nature. Consciousness and Physicalism is replete with philosophical arguments and informed, through and through, by findings in many areas of scientific research. It advances the debate regarding the ontological status of consciousness. It will interest students and scholars in philosophy of mind, metaphysics, philosophy of cognitive science, and philosophy of science. And it will challenge both foes and friends of physicalism.